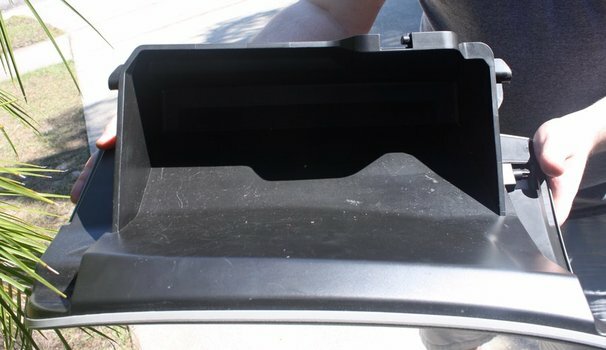 Learn how to change a 2008-2013 Subaru Forester cabin air filter. The manufacturer's schedule says to inspect and replace it every maintenance interval. Fortunately, the filter is pretty easy to change, it'll only take a few minutes of your time. 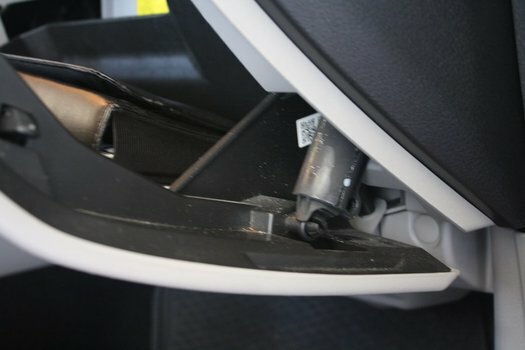 It's possible for the air filter to get clogged, reducing air flow and generally making the air more smelly and gross. 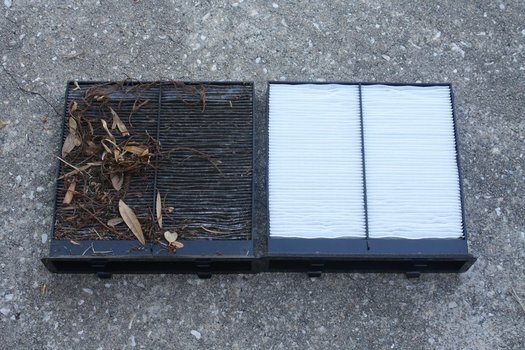 If you're having this problem, you might as well check the filter. Unhook the cylinder used to slow the glove box door. Squeeze the two sides of the pin together and slide loop off the pin. 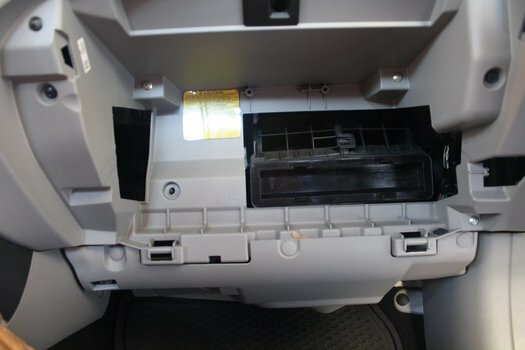 Squeeze the sides of the glove box together to clear the stop pins. 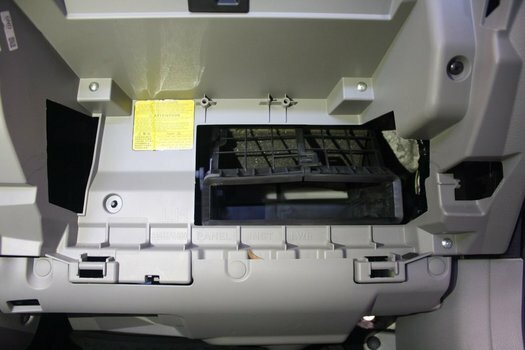 This will allow you to swing the glove box down and remove it. 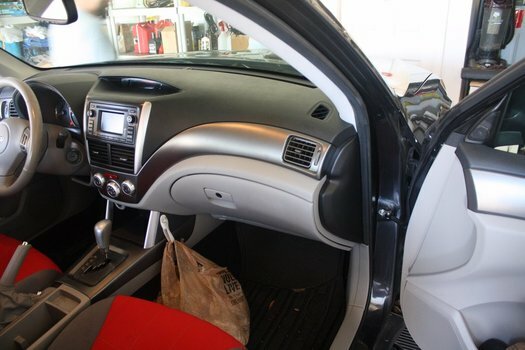 Remove the cabin air filter. 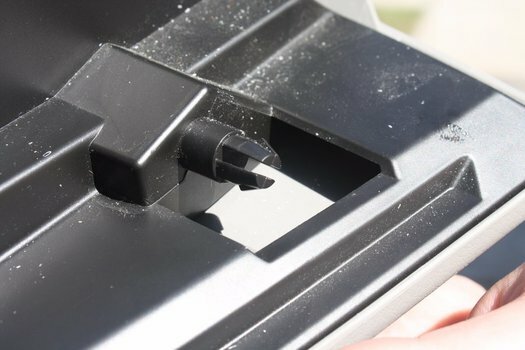 It snaps in with small plastic tabs and it's removable without tools. Here you can see our old filter had quite a few leaves and gunk trapped in it. 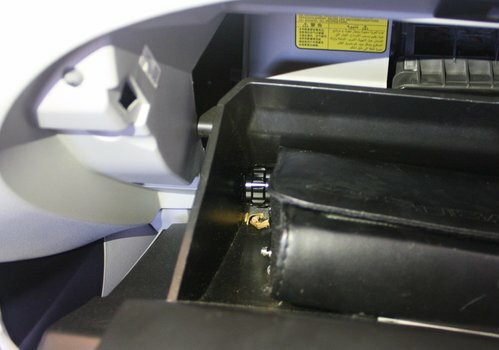 Re-attach the cylinder glove box slower thing.